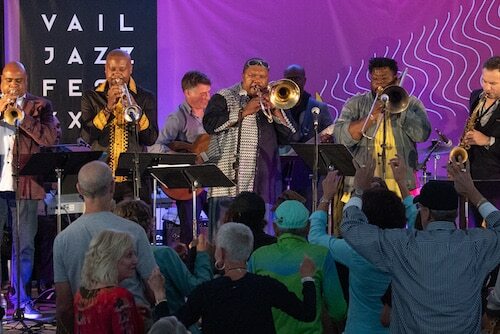 Thus, the Vail Jazz Festival was born and has since blossomed into its current incarnation, a year-round exhibition of top musical talent from across the globe, hands on, in-depth educational programming and free performances. In celebration of its 25th anniversary, Vail Jazz will launch into its biggest summer ever, with free and ticketed performances throughout the week from the end of June through Labor Day weekend. 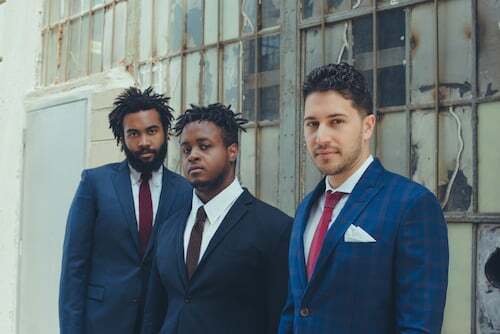 On Wednesday and Thursday evenings, respectively, the Vail Jazz Club and Vail Square series feature a lineup of the biggest names in jazz today. 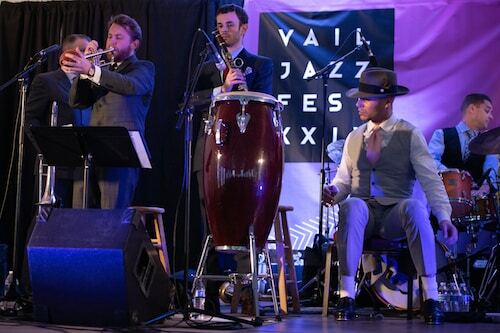 The Club Series emulates a true jazz club experience with intimate performances in the luxurious setting of Ludwig’s Terrace in the Vail Sonnenalp Hotel, while the Vail Square series allows artists to let loose on the big stage in the spacious, all-weather Jazz Tent in Lionshead. 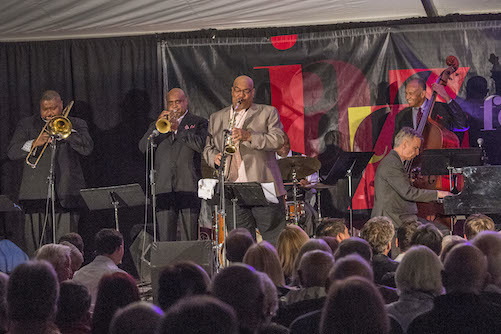 The grand finale of the festival is, of course, the original main event – the Vail Jazz Party over Labor Day weekend, bigger than it’s ever been for year 25. Tickets for all summer performances are on sale as of this week. Here’s the breakdown of what’s in store this summer, so be sure to mark your calendars. Every Sunday from June 30 through Aug. 25 – Vail Jazz presents free live music from a rotating lineup of highly acclaimed regional musicians, 12-3 p.m. at The Jazz Tent at Solaris during the Vail Farmers Market & Art Show. Every Sunday night from July 7 through Aug. 25 at 8 p.m., a rotating cast of musical talent joins pianist Tony Gulizia and drummer Brian Loftus for free live music at The Remedy Bar in the Four Seasons Vail. Every Sunday in July (July 7 through 28) from 11:00-11:45 a.m., the Jazz Tent at Solaris in Vail calls all kids from 4 to 12 years old. Vail Jazz’s Tony Gulizia and a team of musical educators lead a FREE hands-on workshop teaching the basics of rhythm and melody. Instruments provided. Every Friday at 6 p.m. from July 5 – Aug. 23, Vail Jazz kicks off the weekend with a variety of acclaimed blues, funk, rock, bluegrass and jazz artists performing live at the outdoor amphitheater at The Riverwalk in Edwards. Bring a blanket, picnic and an urge to dance. Food and alcohol are available for purchase. 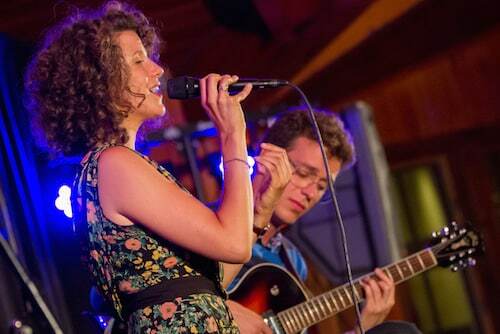 Veronica Swift and the Emmet Cohen Trio return to Vail Aug. 7 and 8. The Vail Jazz @ Vail Square fires up the all-weather Jazz Tent in Lionshead from 6 to 8 p.m. every Thursday from July 4 to Aug. 29. General admission seats are $25, preferred seats are $40 and premium seats are $50. Drinks are available for purchase. 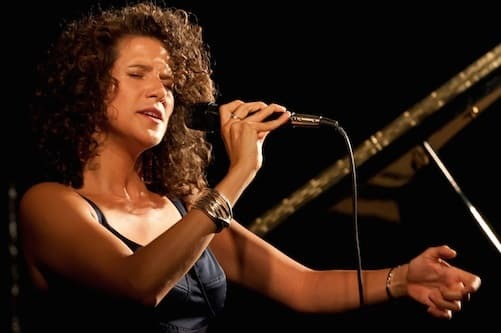 The Vail Jazz Club Series features the same artists who take the big stage at Vail Square, but performing two intimate dinner club sets at 5:30 and 8 p.m. every Wednesday from July 10 to Aug. 7 at Ludwig’s Terrace at The Vail Sonnenalp Hotel. Tickets are $40. Full dinner and drink service are available for purchase. Go here for tickets and more information about the Vail Square series. Go here for tickets and more information about the Club series. July 8 – This one-of-a-kind event features internationally lauded trombonist Wycliffe Gordon displaying his funk stylings at Larkspur Restaurant. Expect a night of dancing, amazing food and an open bar. General admission tickets are $250, VIP Experience $300. Get tickets here for the Wycliffe Gordon 25th Anniversary event. 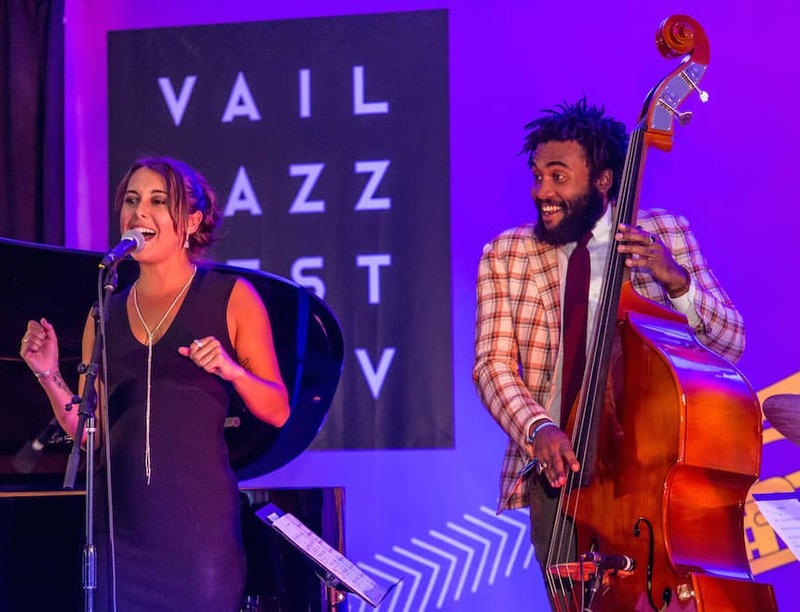 From Aug. 29 to Sept. 2, more than 40 of the world’s most talented jazz artists (including the iconic Vail Jazz House Band) converge at the Vail Marriott and in Vail Square for a Labor Day weekend stacked with explosive indoor and outdoor performances. In the same format as that first fateful event 25 years ago, artists rotate from stage to stage, some in unlikely combinations that result in a flurry of unique and previously untapped talent and improvisational masterpieces. To witness these shows are truly once-in-a-lifetime opportunities. 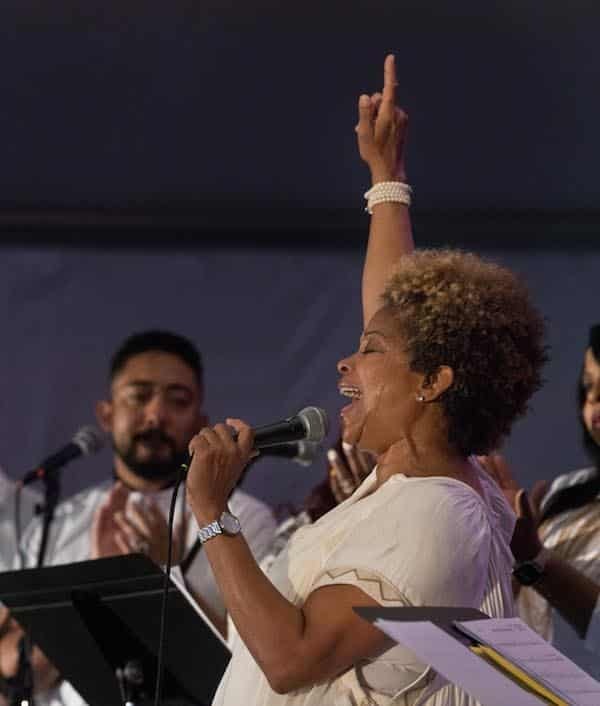 New this summer, Niki Haris’ Gospel Prayer Meetin’ – historically the Vail Jazz Party’s most popular performance and always the first to sell out – will take place at the Gerald Ford Amphitheatre on Sunday, Sept. 1. 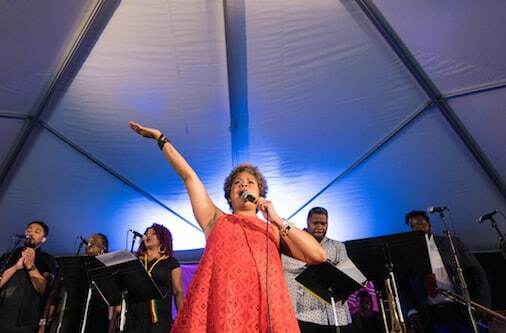 Get tickets here for the 25th Annual Vail Jazz Party. For more information about Vail Jazz, call 970-479-6146. It is with deep gratitude and excitement that I write this letter as the newly appointed Executive Director of the Vail Jazz Foundation. While the valley quiets down for the off-season, the Vail Jazz staff is gearing up for the biggest summer of music yet! Featuring artists from more than 10 countries and spannin g the jazz world from swing to salsa and from the American Songbook to straight ahead, the Vail Jazz Festival comprises more than 80 performances from June 30 – September 2! We are proud to announce that tickets for the 25th Annual Vail Jazz Festival are now on sale! This summer, we will celebrate Howard Stone’s legacy of entertainment and education with a unique lineup of world class performers that bridge the past and the future. We will pay tribute to Nat King Cole, reminisce to the soundtracks of films from The Jazz Singer to Casablanca, honor New Orleans pianist Henry Butler, explore the relationship between jazz and the civil rights movement, and remember the legendary Ray Brown. This celebration will be one for the history books and we sincerely hope you’ll join the community from around the globe that support it through attendance, donations, and sponsorship. We are preparing for a remarkable summer in Vail and we can’t wait to share it with you. John Chin is a humble guy. Although he’s had a Grammy nomination and has been lauded for his musical talent since he was a young boy, he’ll tell you he was no child prodigy. A Korean-American growing up in Los Angeles, Chin recalls his first encounter with a piano, but is sure to emphasize that he was not beckoned to it by any sort of guiding light. “My parents always had a piano even though they didn’t play. They were classical music fans. They told me I gravitated to it, but it’s not uncommon if you have little ones in the house that they make their way to the piano,” he says. Nonetheless, his parents nurtured his interest and set him up with a piano teacher by the age of 4 or 5. Chin’s first public performance was in kindergarten, but that, too, he is reluctant to regard as a milestone. That last part tells you something. Also, the fact that the young pianist’s gift was recognized by California State University, where he was admitted at age 14 and graduated with a B.A. in music at age 19 before continuing on to a masters program at Rutgers University under the great pianist Kenny Barron and pursuing an Artist Diploma at Juilliard, eventually becoming a fixture in New York City’s jazz scene. Jazz was nonexistent in Chin’s childhood home, so he’d save money to go to the record store, choosing blindly depending on what album cover looked jazzy or which featured a picture of a pianist. According to Chin, his early days attempting to play jazz were a struggle. By all counts, Chin has managed to find that grasp. He’s released four albums as a band leader and has recorded or shared the stage with artists such as Benny Golson, Ron Carter, John Ellis, Dayna Stephens and Mark Turner, to name just a few. He has toured extensively with Vail favorite Rene Marie and his piano work was nominated for a Grammy on Marie’s 2017 Sound of Red album. His versatility in moving between complex styles – not only those under the jazz umbrella such as bebop and swing, but also hints of classical and pop – have been revered by audiences and music critics across the globe. Returning to Vail on March 26 for his debut performance as a bandleader (he performed as sideman with Rene Marie on two previous visits), Chin and his trio highlight the music of Duke Ellington and Billy Strayhorn, who he refers to as “timeless” and whose numbers have found their way into his performance for decades. When it comes down to describing the style of his own compositions or the flourish he adds to the classics of icons such as Strayhorn and Ellington, Chin is once again self-effacing. 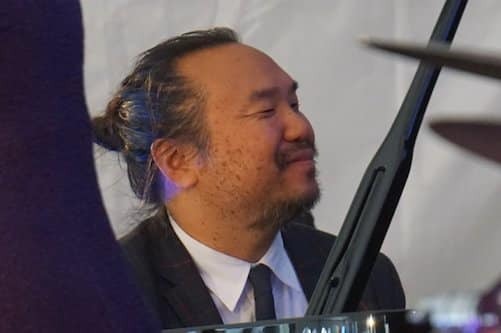 John Chin is joined by Sean Conly on bass and Darrell Green on drums to perform two riveting sets featuring the music of Duke Ellington and Billy Strayhorn. Performances take place at The Vail Sonnenalp Hotel. Seating is jazz club style in Ludwig’s Terrace with full dinner and bar service available (a $30 food and beverage minimum applies). Doors open at 5 p.m. for the 5:30 p.m. performance and at 7:30 p.m. for the 8 p.m. set. Tickets to each performance are $40. For more information, call 970-479-6146. Get tickets here to the 5:30 p.m. performance. Get tickets here to the 8 p.m. performance. Doubtless for most of us, when we hear the word “soulful,” it calls to mind individuals such as Aretha Franklin, Carole King, Gladys Knight or Peggy Scott-Adams. It is also quite likely the most common adjective used to describe singer Niki Haris. However, according to Haris herself, the word means far more than the ability to express oneself vocally like a gale force wind, wailing melodically from the very depths of one’s body. Haris has long been a favorite among Vail Jazz audiences. 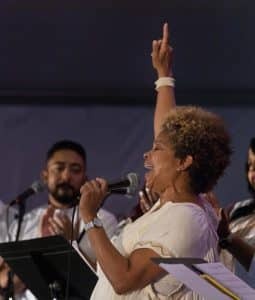 Her Gospel Prayer Meetin’ is typically the first performance to sell out every Labor Day weekend at the annual Vail Jazz Party. A back-up vocalist for Madonna for a number of years, Haris’ 15-year solo career has seen her front and center on stages all over the world and her recordings, ranging in genre from pop to jazz, R&B to funk, have topped Billboard charts. When it comes to specifying who has touched her soul musically and how, Haris, who grew up outside in Benton Harbor, MI and currently resides in Augusta, GA, offers an immediate bank of inspirations, all of whom feel so familiar to her (in spite of having never met the majority), she lists them by first name like one would close friends. They are women whose songs call to mind unforgettable milestones and profound emotions. Haris believes that singing from the soul is especially crucial during turbulent times. She notes that such expression has, historically, provided a guiding light through some of America’s darkest eras. The vocalist equates the human ability to tap into one’s soul with unleashing a glow that can brighten one’s own heart and discover one’s best self as well as cast warmth on everyone in the room … everyone in earshot. Her own ability to do this has been on stark display every time she steps onto the stage, in Vail especially. Enter the sister(s) of soul. 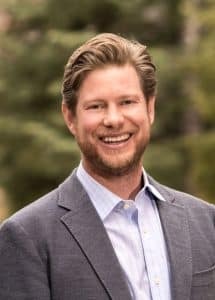 Accompanied by Jeff Jenkins on piano, Mark Simon on bass, Paul Romaine on drums and Steve Kovalcheck on guitar, the powerful vocalist performs two sets that just might be life-changing at Vail’s Sonnenalp Hotel. Seating is jazz club style in Ludwig’s Terrace with full dinner and bar service available (a $30 food and beverage minimum applies). Doors open at 5 p.m. for the 5:30 p.m. performance and at 7:30 p.m. for the 8 p.m. show. Tickets to each performance are $40. For more information, call 970-479-6146. Get tickets here to the 5:30 p.m. show. Get tickets here to the 8 p.m. show. Emmet Cohen’s recipe for a winning performance involves four simple ingredients: connection, consistency, concentration and love. Playing the piano since age 3, 29-year-old Cohen’s career is still in its early stages, but he’s already made some big waves. A three-time finalist for the prestigious American Pianists’ Cole Porter Fellowship, Cohen is in the running for the 2019 award this spring. Growing up in New Jersey and Miami, where he studied under the great Shelly Berg, the young composer now resides in New York City, where he is the Hammond B-3 organist-in-residence at the SMOKE jazz club and has performed at major jazz festivals all over the world, including New Orleans, Monterey, Newport, Jerusalem and Bern. He even performed at the 2014 Winter Olympics in Sochi and, after becoming a finalist in the famed Thelonious Monk International Piano Competition, was escorted by jazz greats Herbie Hancock, Jimmy Heath and Wayne Shorter to the White House to meet President Obama. He’s released six albums, including a Masters Legacy Series featuring (so far) drummer Jimmy Cobb and bassist Ron Carter. His versatile range has been likened to that of Chick Corea, his one-handed solo playing to Red Garland, his surprising variations to Martial Solal. He’s been praised for his fluidity, charisma and unique ability to connect with a vast gamut of fellow musicians and audiences. Of course, the world has its fair share of hot and cold talent. Some days, an individual’s skills could be smoking while other days they’re frozen. As Cohen sees it, this doesn’t fly for great jazz. “The greatest people at any job where you have to execute – it could be sports, music, even being a scientist – the biggest thing involved is consistency. I try to be as consistent as possible. Whether I’ve gotten 10 hours of sleep or zero, whether I’ve traveled all day or not,” he says. Consistency cannot be confused with flexibility, for which Cohen and his trio are famous. In order to jump from one eclectic number to the next, channeling the mystique of a certain musical era and stamping it with a fresh twist, a deep level of focus comes into play. Though not taste-specific, love is the first flavor any audience member immediately picks up in Cohen’s formula. It’s probably safe to say that it’s the key ingredient. And if there were a sprinkle of something extra Cohen brings to his dish, it’s hope. The Emmet Cohen Trio, featuring Russell Hall on bass and Kyle Poole on drums, ignites The Sonnenalp Hotel with love, hope and mind-blowing instrumental talent in back-to-back performances at Ludwig’s Terrace. Seating is jazz club style with full dinner and bar service available (a $30 food and beverage minimum applies). Doors open at 5 p.m. for the 5:30 p.m. performance and at 7:30 p.m. for the 8 p.m. show. Tickets to each performance are $40. For more information, call 970-479-6146. From the first time Joe McBride touched a keyboard at age 4, he was hooked … as in, he could not let it go. Four years later, the gift was a piano, purchased for an 8-year-old McBride by his church. As a teenager, McBride contracted a degenerative eye disease that would eventually take his eyesight. But that did nothing to slow musical pursuits. After studying at Webster University in St. Louis and then in North Texas, McBride spent the next three decades creating and recording music and touring the world as a bandleader. McBride made his way to San Diego and Dallas, quickly establishing himself as a respected and sought after singer/pianist in each city’s jazz scene. From 1992 to 1998, he recorded four albums – Grace, A Gift for Tomorrow, Keys to Your Heart and Double Take, featuring contributions from greats such as Larry Carlton, Dave Koz, Rick Braun, Peter White and Grover Washington, Jr., to name a few. He’s opened for stars such as Whitney Houston and The Yellowjackets and recorded a total of nine full-length albums, including 2009’s Lookin’ for a Change, a testament to his musical versatility, as he infuses a broad gamut of popular tunes from numerous genres (Coldplay, John Mayer, Gnarls Barkley) with his own vocal and harmonic style. Whether personally revamping a contemporary pop tune or performing a Ray Charles classic with a smooth and distinctive flare that’s all his, McBride embraces every opportunity to grow. McBride is often compared to Ray Charles, though anyone who’s heard and witnessed his performance – including last summer’s Vail debut, a charismatic tribute to Brother Ray – knows that McBride takes the stage with his own distinctive energy and presence. 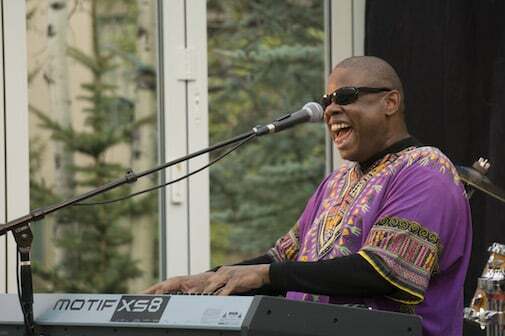 Joe McBride returns to Vail for back-to-back performances at The Sonnenalp Hotel on Feb. 26, highlighting classics by the likes of Ray Charles and Stevie Wonder as well as McBride originals. Seating is jazz club style at Ludwig’s Terrace, with doors opening at 5 p.m. for the 5:30 p.m. performance and at 7:30 p.m. for the 8 p.m. show. Full dinner and bar service will be available (a $30 food and beverage minimum applies). Tickets to each performance are $40. For more information, call 970-479-6146. BUY TICKETS HERE FOR 5:30 P.M. SHOW. BUY TICKETS HERE FOR 8 P.M SHOW. Why is the sound of old jazz making new waves? Elizabeth Bougerol of The Hot Sardines has a simple explanation. Launched in 2007 when Bougerol and co-founder Evan Palazzo were drawn together over a mutual love for jazz icons such as Fats Waller, Billie Holiday, Ray Charles and Louis Armstrong, The Hot Sardines have established themselves as one of the hottest jazz ensembles in New York City. A Sardines’ performance is both an auditory and visual feast of energy, all eight members of the band hitting individual bright notes that fit into the rich flow while the marionette moves of tap dancer AC Lincoln are so oddly cool and hypnotizing that one cannot help but become entranced, tapping one’s own toes if not leaping up and grabbing a dance partner. 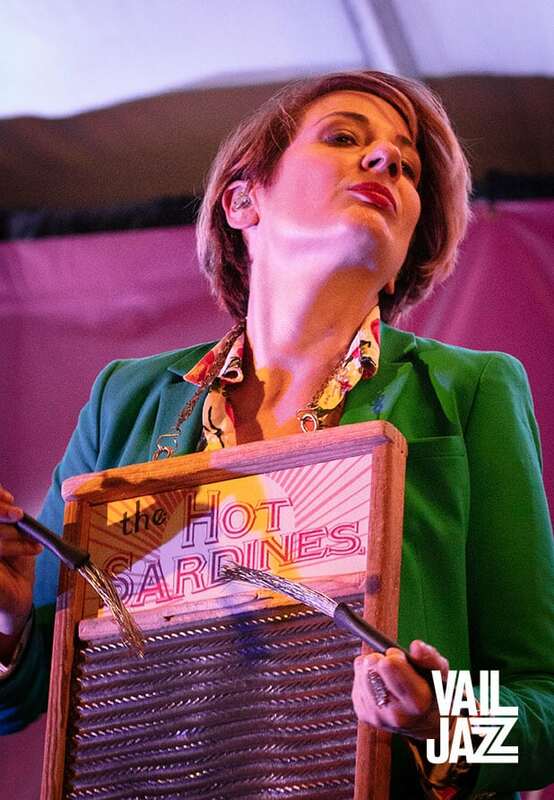 The Hot Sardines have performed all over the world, notching more than 100 gigs a year, gathering enthusiastic ballrooms full of new fans everywhere they go. Their 2014 self-titled album debuted in the top 10 on the Billboard Jazz Chart and remained there for more than a year and 2016’s French Fries and Champagne debuted at No. 5 on Billboard’s Jazz Traditional Chart, No. 6 on Jazz Current & Top 20 Heatseekers Chart and was No. 1 on both iTunes & Amazon jazz charts. Roll into one of their local NYC gigs and find an audience comprised mostly of millennials, passionate and committed to this energetic collective of swing revivalists, looking every bit like a jazz club might have in 1920. The crowds at their road performances comprise of every generation of jazz fan – from high schoolers to life-long connoisseurs who may have eye-witnessed a performance by Ray Charles or Ella Fitgerald in their younger years. As a testament to this and also to The Hot Sardines’ unerring improvisation skills, during their Vail debut last summer, the electricity went out for several minutes, cutting the volume level into a whisper while the band did not miss a stride or a note. Palazzo, whose voice has unbelievable carrying capacity, seamlessly moved from piano to vocals, turning in his seat and projecting his voice out to the crowd as the horn section ramped up its blows. A pair of acoustic numbers took on fresh excitement until the power was restored and the band’s harmony and fiery movement locked smoothly back into full volume. Not only did this make for truly impressive entertainment, but it also proves Bougerol’s point about the music’s potential for connecting people, which is certainly not a quality possessed by all artists, genres or even subsets of jazz. The Hot Sardines return to the Vail Valley for the holiday event of the season – a live performance and dance party at The Ritz-Carton Bachelor Gulch on Dec. 27. Doors open at 7:30 p.m. and performance/dance begins at 8 p.m. Tickets are $90 and include two drinks each. For more information, visit the event page or call 970-479-6146. In its 24th year, the summer grand finale over Labor Day weekend has become famous for its rare fusion of talent. When you see an artist perform live you’re naturally moved by their talent – by the way they’re able to mix up their regular numbers, extend solos, improvise. How about if you rotated 35 of the world’s most talented musicians on and off of stages with one another for four days and nights of live performance? There would be some unforgettable sparks. Such is the format of the Vail Jazz Party over Labor Day weekend. In its 24th year, the multi-day live music experience was originally cast on the extravagant, one-off whim of Vail Jazz founder Howard Stone. The original lineup of Grammy Award winners and internationally acclaimed jazz stars included John Clayton and his brother Jeff Clayton, Phil Woods, Tommy Flanagan, Jack McDuff, Slide Hampton, Bobby Hutcherson, James Moody, Joe Wilder and Jeff Hamilton. Now, 24 years later, the Vail Jazz Party has established itself as one of the world’s premier jazz gatherings, still replete with star-studded lineup (more than 35 headlining artists) and a contagious aura of exaltation that participating musicians swear taps into some sort of higher power. As the creator of the score to West Side Story and musical director of the New York Philharmonic, Leonard Bernstein stands as one of America’s most revered conductors and composers. His legacy has been honored by numerous fellow musical greats. One of these is Vail Jazz Party House Band pianist Bill Cunliffe, who won a Grammy Award for his arrangement of Oscar Peterson’s “West Side Story Medley.” Cunliffe will be joined by fellow House Band members John Clayton and Lewis Nash as well as guitarist Peter Bernstein (no relation to Leonard) for what is sure to be a lively, one-of-a-kind exploration of the Leonard Bernstein songbook. Master of groove, Jimmy Smith single-handedly rendered the B-3 organ a cool instrument, especially in the world of jazz and blues. Viewed by many as the world’s organ king, he mentored contemporary keys king Tony Monaco, who has gone on to become recognized as one of the top five international jazz organists himself. Don’t miss the soaring and swelling melodies on tap for this heart-felt tribute. Did someone say dance party? What better way to spend Sunday afternoon on Labor Day Weekend … Nu Funk is a movement that originated in Brooklyn in the 1980s, blending hip hop and deep funk with danceable riffs and climatic breaks. Internationally lauded (not to mention Vail favorite) trombonist pegs Nu Funk to hits from James Brown, Stevie Wonder and Marvin Gaye. It’s bound to be a party. The morning, afternoon and late-night sessions throughout the Vail Jazz Party feature unlikely fusions of artists who have often never met, much less performed on stage together. This is when the real magic happens. From Aug. 31 to Sept. 3, the Vail Jazz Party features more than 70 musicians delivering special performances, tributes and jam sessions. Tickets to individual sessions start at $55 and weekend passes are available. Performances take place at the Vail Marriott and in the all-weather Jazz Tent in Lionshead’s Vail Square. Get tickets to all sessions here.